Cinda, Emily, Maura, Gabe and Daughtry find marriage partners through letters, but will they find happiness with Lucas, Cade, Luther, Lena and Nicholas? I usually choose to read these collections from Barbour Books based on the theme and at least one author being already known to me. In this case, the theme is one I enjoy and there were three authors whose writing I had been wanting to try more of/for the first time - Denise Hunter, DiAnn Mills and Tracie Peterson. After reading the story by Tracie Peterson, I went back to the beginning of the ebook to check on publication dates. I was a bit relieved to see that hers from 2002, so it having read like an early work made perfect sense and mitigated my disappointment with the storyline, writing, and especially the immaturity of a heroine who reacts to problems by continually running away. 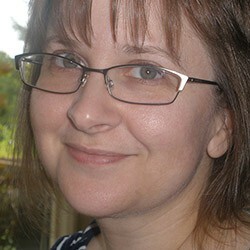 I enjoyed the entry by Denise Miller, and was charmed and delighted by DiAnn Mills' mail-order husband Gabe. Overall, an enjoyable collection of stories which were originally copyrighted between 1996 and 2002. 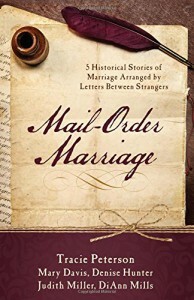 If you enjoy historical inspirational romance and/or mail order bride stories, this is worth picking up for Mary Davis' Cinda's Surprise and DiAnn Mills' Mail-Order Husband in particular.